These great copper bead supplies and findings include jump rings, head pins, bead caps, toggle clasps, and more! Copper jewelry is absolutely beautiful. Some pictures have been enlarged to show detail. Actual size is listed to the right of the picture. Buy in sample packs on the left or larger packs on the right. 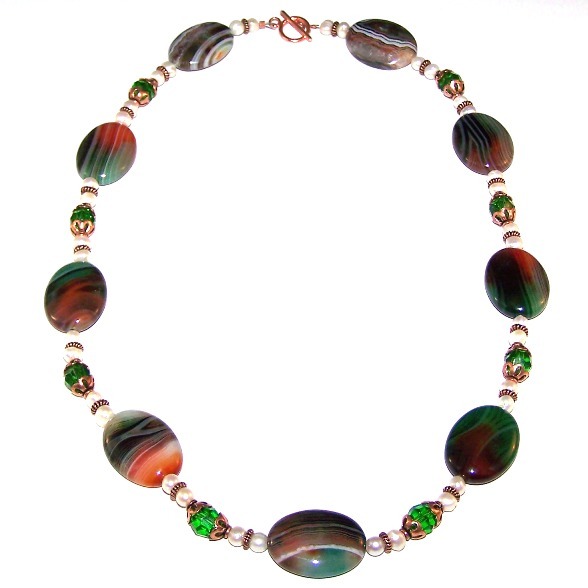 This beautiful necklace features copper beads and findings along with Rainbow Sardonyx Ovals. Click here for free directions!